Amazon Echo and Google Home assistants fly off the shelves, as eager consumers hope to infuse some AI-enabled smart technology into their homes. While voice search has certainly struck gold with consumers, what does it mean for businesses? After all, consumers use voice search for just that: “search”—whether it’s for products, resources or local businesses—and businesses need to adapt as the up-and-coming search method gobbles an increasingly large share of business-related searches. Thankfully, we’ve put together a guide that covers it all—explaining how voice search works, and providing 10 actionable tips to optimize your website and SEO for the voice search revolution. Skip straight to the tips! Why Does Voice Search Matter For My Business? We get it, before committing to spending time optimizing your website for voice search, you need to know it’s worth your while. After all, "What if this whole voice search thing is just a fad, and I’m wasting my time?" We’ve searched far and wide for the most compelling statistics about the present and future of voice search, and conveniently lined them up for your viewing pleasure. Still think the kinks need to be worked out before voice search becomes mainstream? Well, there aren’t many kinks left—and they’re being ironed out by the day. 2. 20% of Google queries are voice searches. 3. That number is expected to be 50% by 2020. 4. Google says 62% of their users plan on making a purchase through their Google Home speaker in the coming month, and 58% of users create weekly shopping lists on their device. More than half of smart speaker users are making purchases through their device, and that number is only going to go up. 5. 44% of voice activated speaker users say they order everyday products like groceries on their device. Why go to the store or fire up a laptop when you can just tell a friendly robot what you need? 6. Currently, there are about 33 million smart speakers in circulation. 7. 75% of households are expected to own a smart speaker by 2020. More devices means more searches and more purchases. 8. Voice searches are 3 times more likely to be based on local queries than text based searches. Are you a local business that wants to get found? This has to be on your radar. 9. Voice commerce sales hit $1.8 billion last year. That’s a lot of orders. 10. The expectation is that voice commerce sales will reach $40 billion by 2022. 11. 39% of voice activated speaker users would like to use their device to find business information. Convinced yet that voice search will affect your business? Voice search involves a number of tasks, which programs like Siri, Amazon Echo and Google Assistant—along with many others—perform each time a user asks a question or requests a task to be performed. Using speech recognition to transform or transcribe human words into text. Using natural language processing to transcribe this text into parsed text. This is the part of the process where the AI seeks to understand the grammar of the statement. Analyzing this parsed text—and using an understanding of the statement’s grammatical structure to detect commands and requests for action. Using multiple technologies to interface with websites and web services. Performing actions and search operations that provide the best possible responses to your query. Converting search results back into natural language and an answer that you will understand. 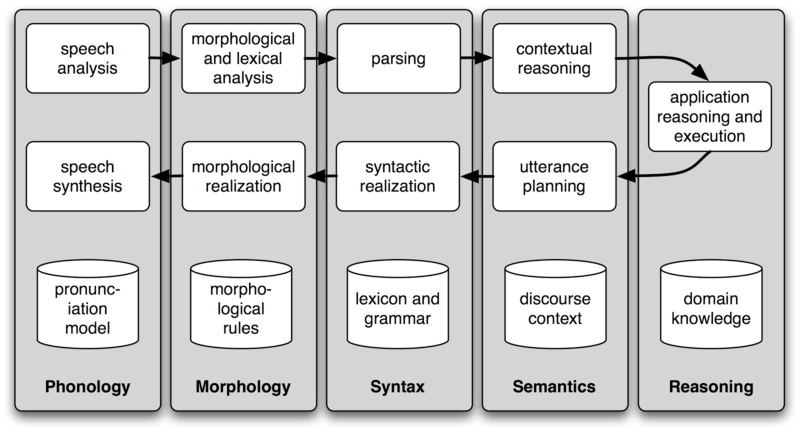 Using text-to-speech technologies to transform the text answer into synthesized speech. Seems complicated, huh? Well, it is. No worries, we've got you covered with the "plain English" version. So yes—your in-home virtual assistant uses machine learning to adapt to the way you talk. It gradually improves its recognition of your tone, accent, pronunciation and preferences. We’ve been trained to make it as easy as possible for search engines to give us what we want. Because of this, we’re more likely to keep our search queries relatively short, so Google doesn’t get confused as to what we’re looking for. 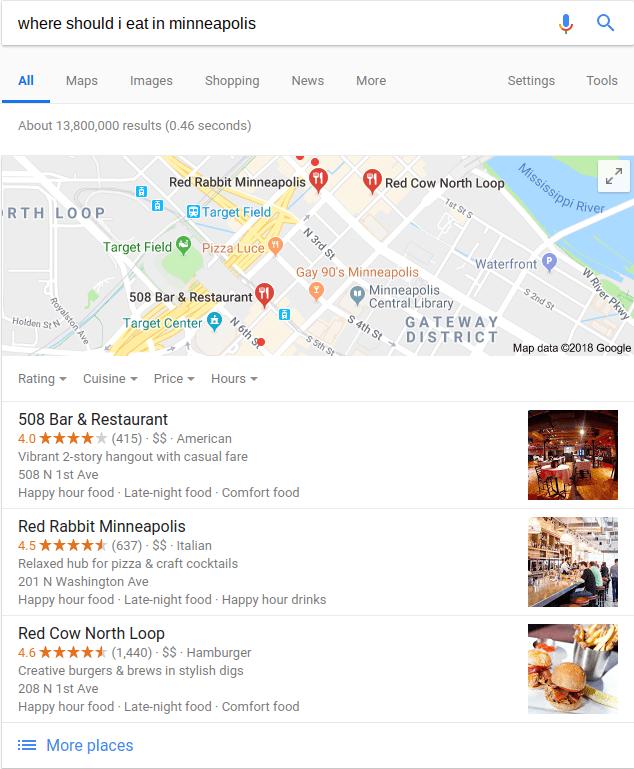 ‍ ‍Search volume data for "where should I eat in Minneapolis"
On the other hand, if you were in a conversation with a friend from Minneapolis and said “best restaurants in Minneapolis” out of the blue, they would think you were going crazy. You need to find a good place to eat in a city you know little about. Search engines just perceive the queries differently, and users have adapted to their expectations of what these perceptions will be. With the explosion of voice recognition technology, the methods we use to communicate with search engines are evolving. In the next section, we take a look at this evolution, and explore what it means for SEO. If you’ve been exposed to the world of SEO for more than 5 minutes, you know that Google doesn’t like to rest on its laurels as the surrounding world evolves. Google exists in order to give its users the best possible answers to their search queries—in essence, to make lives easier. In order to provide quality answers to each search query, Google found that it was necessary to build a deeper understanding of search intent into its algorithm. So in August of 2013, Google released its game-changing Hummingbird update. Many call Google Hummingbird the most significant change to Google’s algorithm since 2001, and rightly so. Remember when we were talking about two differently worded queries for the same question about restaurants in Minneapolis earlier? Well, Google would call that semantics—and semantics are at the heart of the Hummingbird update. To be exact, semantics is the concept of focusing on searcher intent when defining the results of a search query. 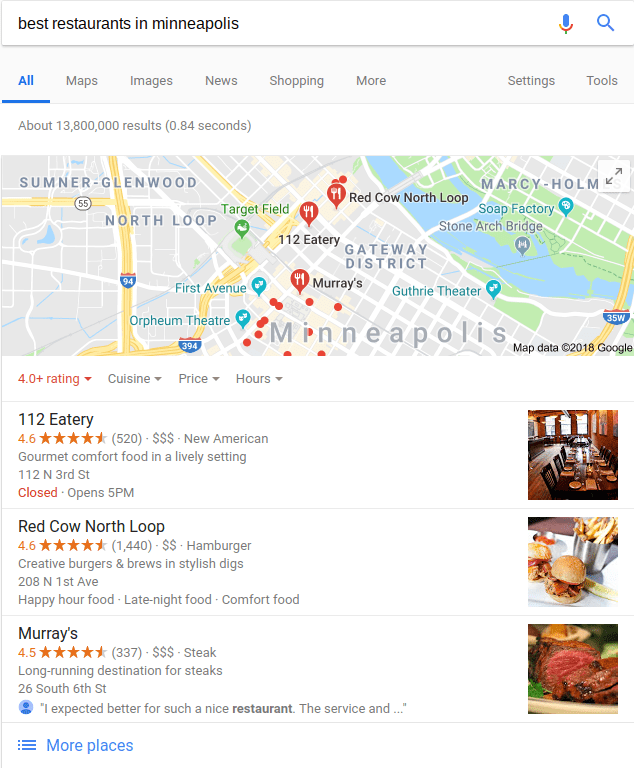 In other words, Google now understands that when I type “best restaurants in Minneapolis” or “where should I eat in Minneapolis,” I pretty much mean the same thing. ‍Impressive stuff! Not the same restaurants, but a pretty darn similar SERP, right? Hummingbird was also the introduction of search features (commonly referred to as SERP features) and the knowledge graph. In addition to its increased focus on search intent, Google also wanted to make sure that search in general would be a faster and more convenient process. 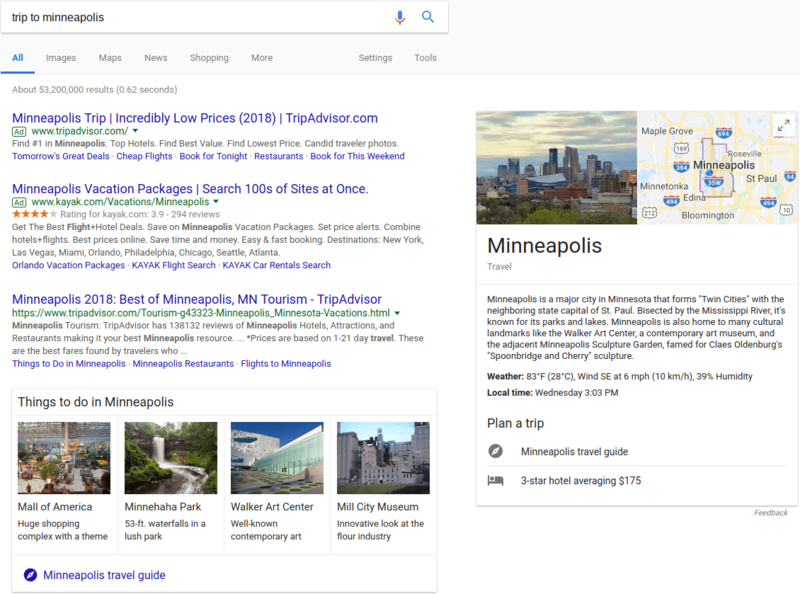 Google introduced SERP features, including the knowledge graph, to save people the trouble of having to dig through individual listings when looking for a simple answer. ‍ ‍Isn't that nice? Now I have more time to enjoy the bustling restaurant scene I've learned so much about from my previous searches. SERP features can include anything from short answers to recipes, weather, directions and more. RankBrain—which launched in early 2015—is an artificial intelligence and machine learning system that Google developed to help process search queries and turn them into ideal results. Similar to Google Hummingbird, it was created to better analyze searcher intent and come up with the best possible search results. RankBrain converts words and phrases into mathematical vectors, which are in turn used as a vehicle for machine learning. The technology also processes brand new search queries and uses latent semantic indexing to identify patterns and pull up results relevant to the query. After a search is completed, RankBrain analyzes the way that users interact with a SERP, and with individual listings within that SERP. It uses factors like dwell time, click-through rate and bounce rate to evaluate how well specific listings responded to the query in question—and adjusts search rankings accordingly. RankBrain is more than just a reaction to voice search, but it’s pretty clear that the two are growing and evolving in tandem. How do all of these Google algorithm updates relate to voice search? Whether it’s a matter of correlation or causation, developments in SEO in recent years have mirrored a shift among users toward embracing voice search. Google’s increased focus on search intent and semantic search have paved the way for voice recognition and natural language processing technology to flourish. I don’t have to say “best restaurants in Minneapolis” for my Google Home to understand me. I can ask a question, like most humans would when talking to another human. People ask questions. They don’t ask statements. People talk like people, not robots. People don’t always have time to think about the best possible wording for a question before they ask it. People expect the answers their search engines provide to be accurate, easy to understand and concise. People don’t want to sift through multiple pages on SERPs to find the answers they’re looking for. Search behaviors and expectations are changing, and with these changes, search engines are evolving. Let’s explore some strategies you can implement today to make sure your website doesn’t get stuck in a pre-voice search world. As we discussed earlier, Google created SERP features (including featured snippets and the knowledge graph) as a sort of quality of life update for searchers. They provide quick, quality answers to questions so users don’t have to jump through hoops to find what they need. In voice search, many results come directly from featured snippets, because most queries are asked in the form of the question. If a featured snippet that appears on a desktop or mobile device answers the question, why wouldn’t my Google Home give me that answer? How do I get into featured snippets? The worst thing you can possibly do when trying to get your content into a featured snippet is guess what you think people are searching for and answer those questions. There’s no need for a SERP feature if nobody cares about the question in the first place. Instead, try using a tool like Answer The Public to determine what people are asking about your topic. Use a keyword that relates to your topic or theme, and the handy tool will go to work and come up with related questions that you could focus on in your content. If you plug some of these queries into your favorite keyword research tool (we use Ahrefs), you may find that their existing search traffic and traffic potential is low. Try slightly rewording the queries until you find one that attracts high monthly traffic. Remember, the wording doesn’t need to be identical. Google’s algorithms are advanced enough to understand what you mean. No matter what your answer is, it needs to be accurate, comprehensive, and easy to understand. But with that said, your answer doesn’t need to be in the form of written text in order to become a SERP feature. Google loves featuring images, videos and infographics that effectively answer the query. Always remember that people aren’t robots, and when they use voice search, they tend not to talk like them either. Plan and write your content accordingly. Step 4: Answer the darn question! Google wants to improve the experience of its users. Do you directly, concisely and accurately answer a question that a searcher may have? If the answer is yes, that means you’re well on your way to having your content appear in a SERP feature. Having an FAQ section may as well be step 1 of our last tip, but it’s important enough that it deserves its own tip. What does an FAQ section do? So naturally, it’s a match made in heaven with a virtual assistant that uses natural language processing technology to understand questions and then turns to the internet to convert those questions into answers. Answers that appear on FAQ sections are often chosen to be featured snippets, as they are direct and specific. Don’t worry, it’s not nearly as scary as it sounds. As complex and sophisticated as search engines are, websites can benefit from providing them with classifications and information that facilitates proper indexing. Many webmasters who want to have more control over the way their content is recognized by search engines and consumed by users will use structured data. Structured data is a way to give Google clues on the meaning of a given page on your website. By using microdata—standardized descriptive tags within the code of a page—you can give Google some guidance and help the search engine understand, contextualize and qualify your page more effectively. You can use this microdata on many different types of website content. 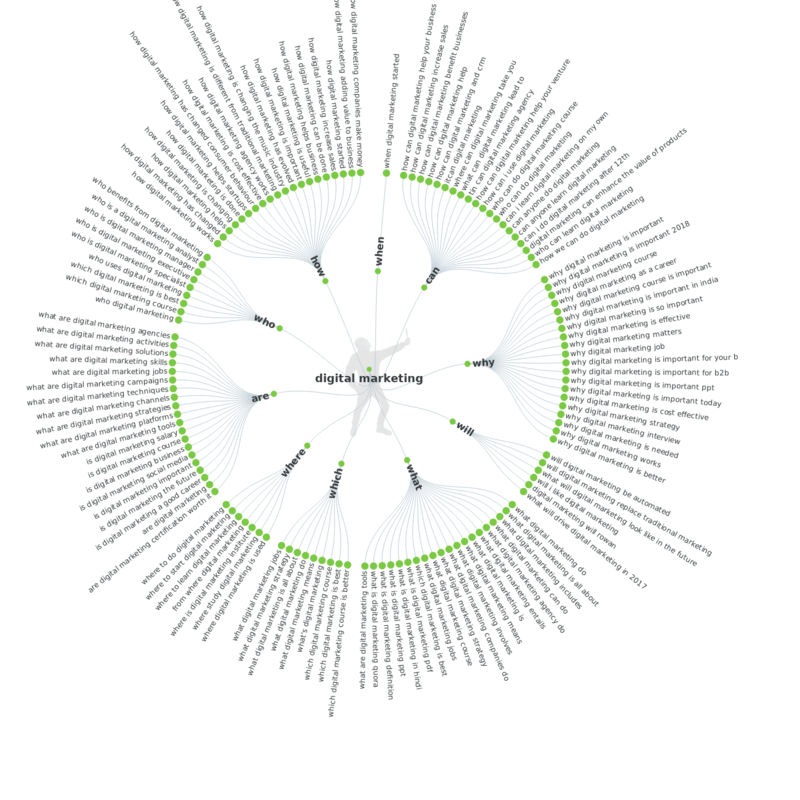 If a user is looking for an apple pie recipe, Google is more likely to provide a quality resource with structured data because the page is well organized and tags with the key components of a recipe. Google primarily uses pages with structured data for featured snippets. In fact, the apple pie recipe above is part of a SERP feature dedicated to apple pie recipes. Needless to say, if you want to increase your likelihood of being included in a featured snippet and getting found in voice search, schema markup is important. While there are many ways to implement structured data, including hand coding, it doesn’t have to be that hard! In fact, Google provides us with a great tool for page to page implementation of structured data. Start by choosing the type of page you want to create structured data for and entering the URL. On the next step, you will see your article, along with the option to tag specific sections with descriptive labels. You will end up with sets of structured data as a JSON-LD markup. Do this to as many pages as possible, as you will have a higher chance of appearing in featured snippets and being a resource for voice searches. We’ve already established that people don’t vocalize search queries the same way that they type them. So it naturally follows that queries used for voice search tend to be more long-winded and wordy than what one would normally type into Google. That’s why long tail keywords are so important for voice search. Voice assistants use machine learning to analyze and contextualize human speech, not written words. When you rank for medium tail keywords you will likely get more traffic due to higher traffic potential. But when you rank for long tail keywords, you’re attracting traffic with a more accurate search intent to your business goals. Should I try to rank for medium tail or long tail keywords? Well, given the trends toward conversational search queries and increased focus on search intent through voice search and Google advancements like RankBrain, it would be easy to think that long tail is the only way to go. It’s not an “either—or” dilemma. There are many ways to target long tail keywords. Long form content is just one of them. You can include plenty of long tail, transactional keywords in your shorter, more promotional marketing content. You can include them in an FAQ section, or even in your web copy. But you can also tastefully pepper them into your long-form content. 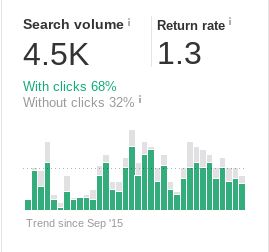 Obviously, you don’t want to center a 3,000 word content piece on a long tail keyword that gets 20 monthly searches. But there’s no reason you can’t include tons of targeted long tail keywords in a piece that’s aimed at dominating rankings for a select few medium tail ones. If you use a keyword research tool (we love Ahrefs), you can plug in a medium tail keyword you plan to target in a piece of content, and you will have access to hundreds of related long tail keywords. 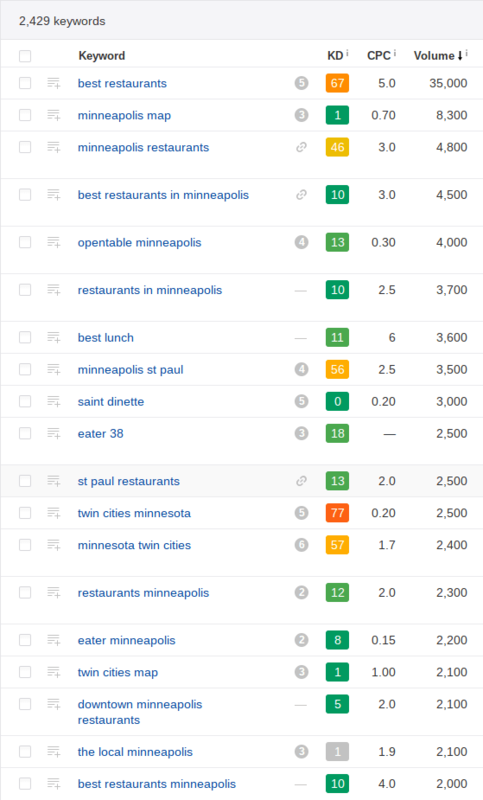 ‍ ‍Using Ahrefs' "Keyword Explorer," I typed in our trusty keyword, "best restaurants in minneapolis." Now, if I click on the “Also rank for” section, I have access to loads of related keywords—many of which will be long tail—along with their traffic potential. ‍That's a lot of potential traffic! Use this strategy and you’ll be ranking for hundreds of long tail keywords—and showing up in voice searches, of course—in no time! 39% of voice searches are aimed at finding local search information. That means if you want to get found through voice search, you had better make sure you’ve given Google enough information for them to want to present you to a user. And here’s the first step to doing that. If you haven’t claimed your Google My Business Listing yet, stop what you’re doing (but come back for the remaining tips, of course!) and do it now. It’s that important. By providing helpful information such as your hours, your location and an overview of what you do, you are giving Google the tools necessary to be able to produce a SERP—or even better, a featured snippet—with your business on it. You can also use some of the other tactics we’ve discussed above to increase your likelihood of getting found and featured. Use structured data to add detail and context to the pages on your website, create an FAQ page, and write helpful content. The average voice search result has 1,199 Facebook shares and 44 Tweets. That means that voice assistants tend to favor content that has driven significant engagement on social platforms. Instead, focus on producing high-quality, engaging content. We’ll discuss that more in Tip #10. Tips 7 through 10 are foundational, website-related tips that you should implement before diving any further into voice search SEO. If a user is searching for a local business using a personal assistant on their phone, the assistant will come up with a list of the best results right then and there. Similarly, if you ask an in-home virtual assistant to do the same, that list will be sent to your phone. You can’t optimize your website for voice search unless it’s mobile friendly. A quality, responsive website always wins out over the rest. The average voice search result page loads in about 4.6 seconds. This is 52% faster than an average page. Search engines recognize that users of voice search want and need results fast, so it seems as if they tend to throw out pages that don’t load quickly. Use Google’s Page Speed Insights to test the pages of your website and make sure it’s up to snuff. 70.4% of Google Home result pages are secured with HTTPS. That means that if your website is not secured, you stand a much slimmer chance at getting found. This is an easy and quick one, so be sure to take care of it. The average Ahrefs Domain Rating of a Google Home result is 76.8. For reference, the website of a newspaper in Minnesota, MinnPost, has an Ahrefs Rating of 77. If authoritative websites tend to do better when it comes to voice search, that means virtual assistants that use natural language processing have similar standards to the search engines they use to generate results. So this statistic shouldn’t change your organic SEO strategy. Voice search rewards quality, comprehensive content that earns backlinks and drives engagement—and so do search engines. Keep producing quality content and building white hat backlinks. Search engines will take notice. Ok, Google: Tell me a funny joke.